I bought this runner for a buffet we have behind our living room sofa. It is a good length and is a quality item. The burlap is thick and the ribbon detail is a lovely touch. 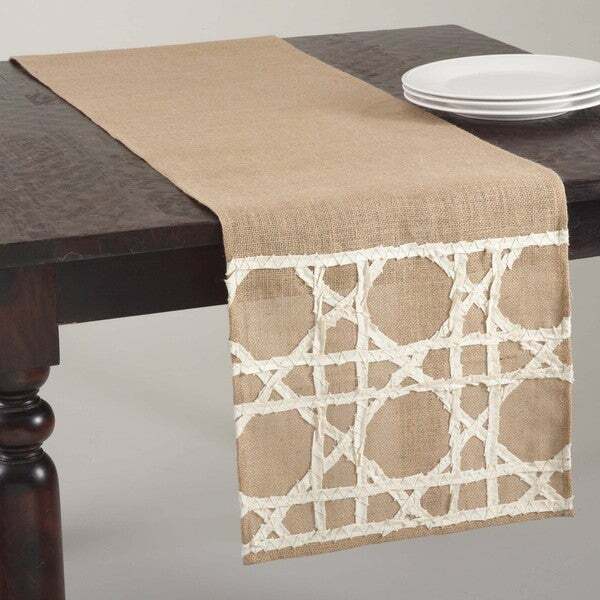 Dress your table in comtemporary style with Saro Lifestyle's fretwork design jute runner. This runner is perfect for everyday entertaining. Dimensions 72.0 In. X 16.0 In. X 0.5 In.